It came from outer space! 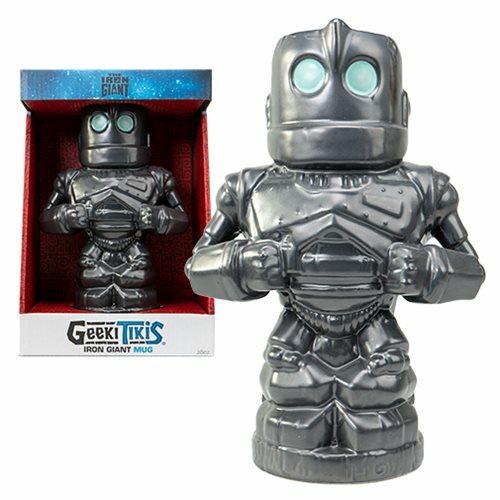 The Iron Giant is going Tiki! This creative and colorful drinkware combines the beloved character with the unique stylization seen in traditional tiki culture. This ceramic mug is even top-shelf dishwasher and microwave safe. This Iron Giant 28 oz. Geeki Tikis Mug measures approximately 9 1/4-inches tall x 6-inches wide with a 3 1/2-inch diameter. Ages 14 and up.